The second leg of W Sampson Trophy was fished on Hurston Match Lake. After a couple of weeks of milder days but with lower night temperatures, gave the 9 anglers who turned up, a reasonable hope of finding fish feeding. However this was ill founded as only three anglers weighed in. This may have been caused by a low overnight temperature as in Worthing the temperature was 7 degrees C whilst at Hurston it was 1 degree C.
In first place fishing Peg 5, which was also the Golden Peg, was Keith Hughes, the venue expert who caught 3 carp and I small perch on maggot or bread using the long pole. He weighed in 10-2-0 in total. 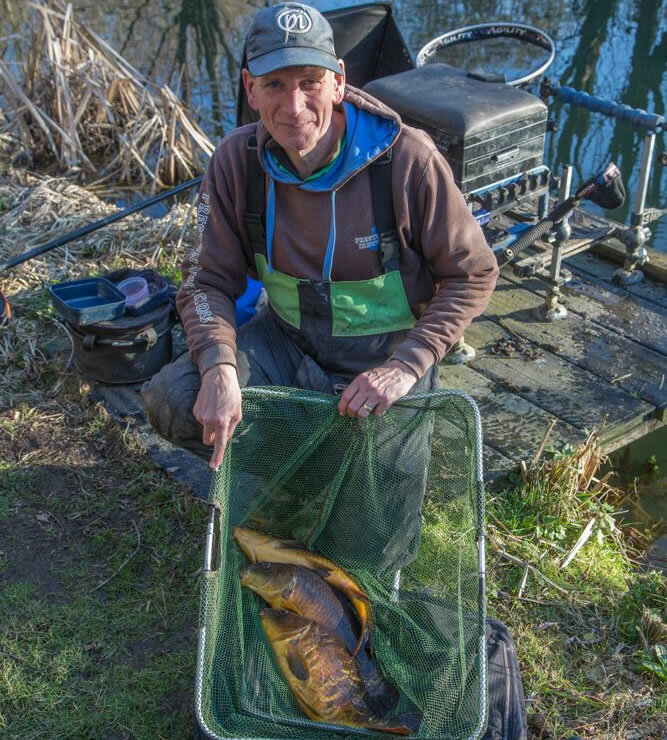 Gary Collins was fishing Peg 8 and used pinkies over a small amount of groundbait to catch 2 bream on the long pole to weigh in 4-4-8 and take second place. 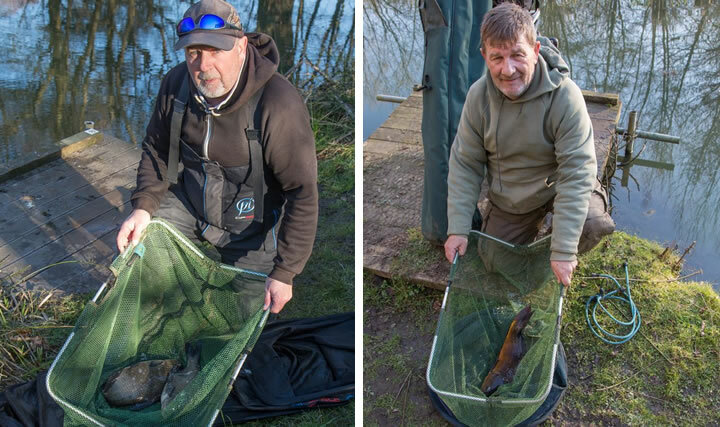 Steve Simmonds was fishing Peg 3, which was the same peg as he had fished in the first leg and struggled liked most of the other anglers for the majority of the match, but eventually found one carp weighing 3-3-0. After the two legs of the W Sampson Trophy Steve Simmonds was the overall winner being the only angler to weigh in both matches.